Google has revealed its first piece of wearable technology for its Android system in the form of a new digital watch. The device, which marks the first product for the new Android Wear project, can tell the time alongside a host of interactive features aimed at serving people timely information. Google is working with a range of consumer electronics manufacturers including HTC, LG, Motorola and Samsung on the development of the new watches, expected later this year. The internet giant released the news with a promotional video showing what it hopes its new wearable device will look like, under the strapline: "Information that moves with you". A wide range of Android applications means people receive the latest posts and updates from their preferred social apps, new messages and notifications from messaging platforms, and news. By saying the phrase "OK Google", consumers can either ask questions, such as looking up something on the internet or when their flight leaves, or to send a text. A set of features focusing on personal fitness are also built into the watch, to give real-time information on speed, distance and time worked while running, cycling or walking. 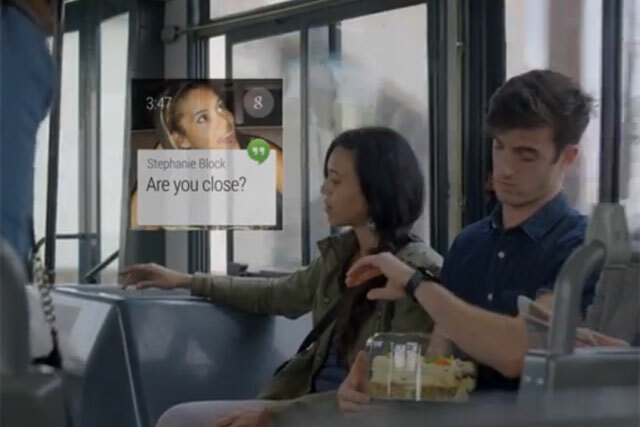 Android Wear also lets people access and control other devices from the new technology.